UBB is the official regional part of the International Brain Bee competition started in 1999 by Prof. Norbert Myslinski from the University of Maryland (USA). The Brain Bee motivates students to learn about the brain, captures their imaginations, and inspires them to pursue neuroscience careers in order to help treat and find cures for neurological and psychological disorders. In Ukraine Brain Bee has started in 2012 as a part of National Biological Olympiad held by the Ministry of Education and Science of Ukraine. In 2016 it became a standalone event. It is organized in two stages. The preliminary test is organized on the Internet and every student can freely participate. Usually, this is the weekend of Brain Awareness Week. 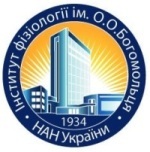 Best students are invited to the final competition to the leading Ukrainian institution in neuroscience - Bogomoletz Institute of Physiology (Nat. Acad. Sci.). The winner represents Ukraine in the International competition. The judges of UBB are the scientists and teachers of Kyiv institutes and universities. IBB 2019 will be held in Daegu, Korea during 10th IBRO World Congress of Neuroscience. Registration for the Ukrainian Brain Bee 2019 is open! The national coordinator is Andrii Cherninskyi, PhD, senior researcher at BIPH. Organizers and jury members are the teachers and scientists from leading universities and research institutes of Kyiv. The competition is supported by Ukrainian Society for Neuroscience (member of FENS) and Minor Academy of Sciences of Ukraine. It was supported by grants from Kiev chapter of the Society for Neuroscience (2016-2018) and FENS (2017-2018). If you are interested in supporting this event, please contact the organizers. Also, you can know how to support us financially.